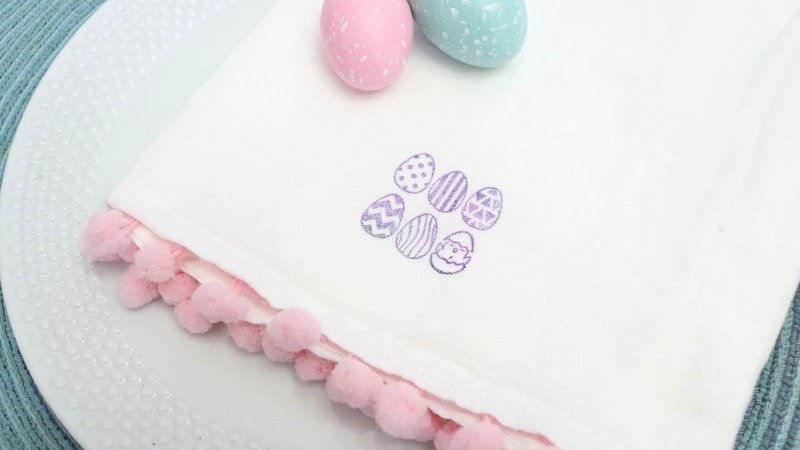 I have more Easter crafts for you today, this time I am sharing a functional and cute stamped tea towel. 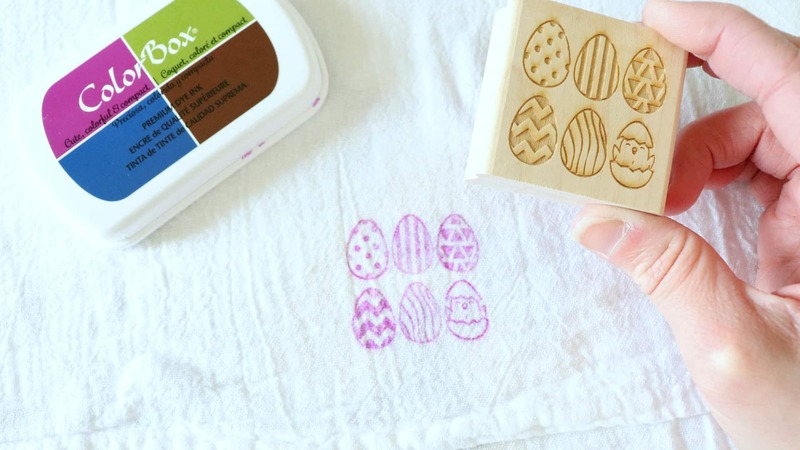 Did you know you can stamp fabric with a regular rubber stamp and set it to hold up even through washing? I have all the details in this post. Plus I am teaming up with some very talented bloggers who are also sharing Easter projects today. You are sure to be inspired, you’ll find all the posts below. 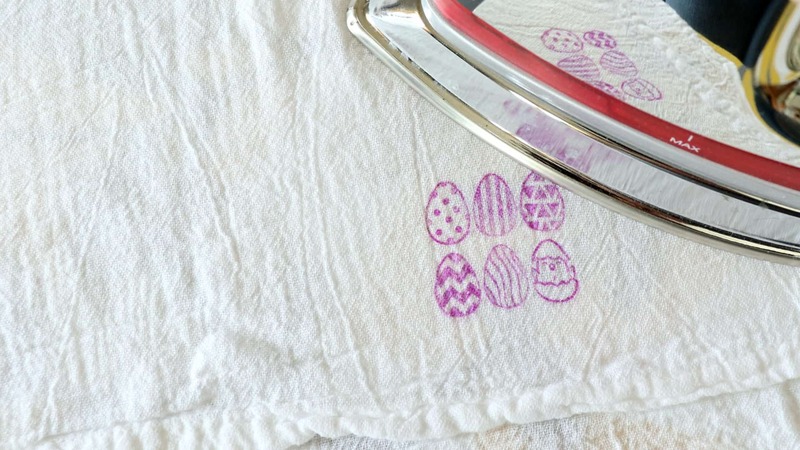 Watch how easy it is to stamp fabric and make these stamped tea towels for Easter. Color Box Dye Ink – ensure your stamped image holds up through the wash by using a dye ink. Get yours here. Easter Egg rubber stamp, I love these as well as the one I used. 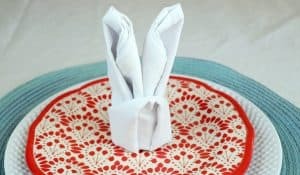 I started with a thin white towel, I picked up a pack of these at Walmart and have used them for a variety of craft projects. I pressed out the wrinkles with a hot iron before I started. The cute pink and mint pom pom trim is from Michael’s. I was strolling through the clearance aisle, because you can’t leave a craft store without scouring the clearance aisle right, and I spotted these two rolls. These are what inspired the towels, they are the perfect colors for Spring. I cut a length to match the edge of my towel and sewed the trim to the back edge. Once the trim was secured in place I found the center of my towel to add a stamp. The key to stamping fabric and making it last is using a permanent dye ink like this Color Box Dye Ink. I like ink pads like this because you get 4 colors in one and they all coordinate. Just stamp the fabric as you would a piece of paper. Let the ink dry for a minute then press the image with a hot iron, this sets the ink. After a day or so these towels are ready to be used and washed. The dye ink has held up well for me after washing. These stamped tea towels are on my dining room buffet for now, I am looking forward to using them on my Easter table this year too. This simple little craft is adorable. I had no heard of colour box inks as I have never tried stamping. Your little teatowels are very sweet, I need to give stamping a try. Ok, I had no idea they have fabric dye stamp ink! This is such a fun craft, and I love that it is usable in the kitchen! Thanks again for joining us this month! That’s such a cute idea, I have a lot of rubber stamps, now I know how to use them on fabric! I had no idea about colorbox and the pom poms are just perfect on the towel. Too cute!! 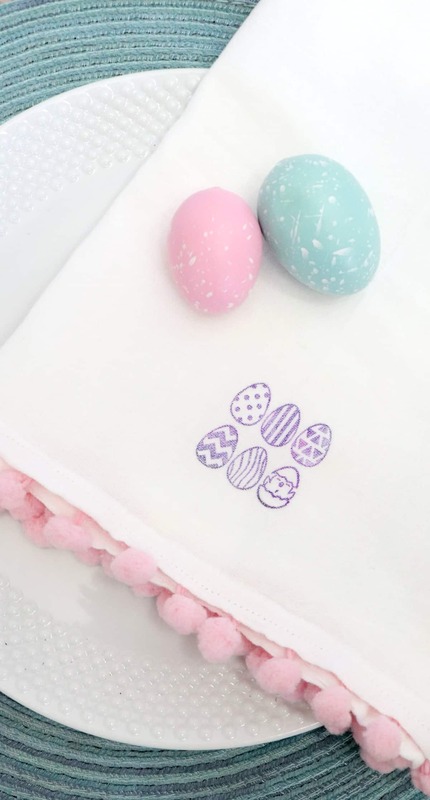 I love, love this pretty stamped tea towel and this addition of the pink pom poms is so cute! !